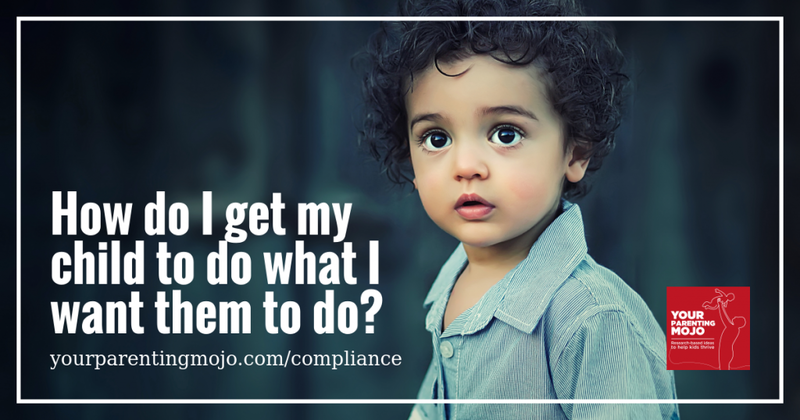 020: How do I get my child to do what I want them to do? Parenting is tough, huh? Sometimes it feels like we spend a lot of our time asking our daughter to do things…and asking again…and finding a more creative way to ask. We’re going to get some great advice on this next week from Julie King, co-author of the new book How to Talk so Little Kids will Listen – but for this week I want to set the stage and think about why we should bother with all of this. Why not just force our kids to do what we want them to do? And, is it possible to raise obedient kids who can also think for themselves? Kohn, A. (2005). Unconditional parenting: Moving from rewards and punishments to love and reason. New York: Atria. This episode actually grew out of an assignment for my master’s program. I’m in the middle of a class on child psychology, which is really at the heart of the curriculum for the masters in psychology with a focus on child development. We were presented with a case study for a child called Jeremiah whose mother was at the end of her rope in dealing with him because he basically refused to cooperate with her. He was having problems in school as well and I was tasked with writing a guide for his mother that that would help her to address some of his challenges. I read Unconditional Parenting a while ago and have been looking for an excuse to delve into the research behind it so this seemed to be about as good of an offer as I was going to get. But I have on my nightstand at the moment the provocatively-titled book “Do Parents Matter?” which is sort of like David Lancy’s book The Anthropology of Childhood that I’ve quoted many times on this show except that the authors actually lived in the communities and did a lot of the research themselves that the book cites, whereas Lancy’s book mostly cites other anthropologists’ work. At various points in Do Parents Matter? very young children in some African and Central American cultures are described as being highly cooperative and even obedient. They can and will sit still and quiet through long church services or car rides; they entertain their siblings rather than squabbling with them and they make valuable contributions to the running of a household. And I started to think about how to marry these two lines of inquiry together – what is it that parents in other cultures are doing to get their kids to cooperate in learning and in life? And are some of those things the kinds of activities that we should consider doing to get our own kids to cooperate more – or is the key really focusing on the child’s needs like Alfie Kohn suggests? So let’s start with the research on children in other cultures. Sarah and Robert LeVine spent two years studying how the GuSII people in Kenya take care of their infants, and compared these relationships with middle-class American mothers in Boston. The Gusii mothers would spend a lot of time soothing their babies. Mother and baby were in close bodily contact for much of the day, or if the mothers weren’t available then siblings were holding the baby. The mothers responded very quickly to a distressed cry, often by offering a breast – the LeVines showed some Gusii mothers a video of an American baby crying while having his diaper changed and the mothers were shocked that anyone would let a baby cry for even a few seconds. The Gusii infants rarely cry long enough to become aroused, and being in constant touch with another person and feeding as soon as they fuss helps to keep the baby calm. The Gusii mothers didn’t use toys or other objects to play with their baby, and would turn the baby away from them so the baby couldn’t make eye contact if they thought the baby was getting too excited so the baby would calm down again. The Gusii mothers want a calm infant and a compliant child because another child is probably on the way within a couple of years, since the average Gusii mother has ten children – so this continual “soothing” of the baby helps to set the stage for a toddler who prioritizes his mother’s wishes and doesn’t give her much trouble. Shifting gears a bit to slightly older children among the Mayans of the YucaTAN, we find that children older than two are asked to do chores quickly and efficiently. Beginning around age 6 the run errands, help older siblings with chores outside their compound, and take care of younger siblings. Girls learn to make tortillas by watching, and by the mother’s very judicious use of direction. I have personally watched children younger than ten in the highlands of Guatemala make tortillas – they left a bucket of corn to soak overnight and in the morning they took it up the hill to someone who had a generator and returned with the corn ground up. They would pat the tortilla into shape, passing it from hand to hand. I tried it myself, and they laughed at me because I couldn’t stop the dough from sticking to my hands and my tortillas were so thick they were virtually inedible. Children in many cultures WANT to learn and they are EXPECTED to learn; they stand stock-still watching someone do a task that they’re interested in, and they learn how to do it by watching the task over and over again. Their parents don’t have to train them or teach them to do a task; the child learns how to do it because he wants to, because what is being learned has some value – often a real contribution to the running of the household. If an adult offers instruction it’s during the course of doing work, not as a lesson specifically set up to teach the child something. And one set of researchers note that in learning outside of school there are virtually no failures. Some children might take longer than others to learn certain skills but almost all children become able to collaborate and contribute fully to family and community. Flunking isn’t really an option. Of course, you can also take the opposite approach like Chinese parents, as these mothers combine parental authority with love – if you love your child then you want to train him for the seven Confucian learning values, which are sincerity, diligence, endurance of hardship, perseverance, concentration, respect for teachers, and humility. Chinese parents consider the child’s school performance as part of their development as a moral person. They criticize their children without worrying about the child’s self-esteem because self-esteem is less important than being a diligent student. So I think the key point in all of this is that it’s possible to use a variety of methods to create a child who does exactly what he is told – you can keep him calm all the time by being in constant contact with him and not playing with him in an American sense of using toys to interact with him. You can teach him the importance of sitting quietly and observing to take advantage of his innate capacity to learn and contribute to the family. You can directly instruct the child on the qualities you think are important and berate them if they don’t measure up. You can threaten to beat them or actually beat them if they don’t do what you say – there are plenty of cultures where this happens although I’ll go on the record and say that I’m against it in the kinds of Western cultures of which I’m a member. But it seems as though the one thing you cannot do is raise a child to think for himself, to be independent, to take the initiative, to be self-confident, to think creatively, to talk from an early age – all typical goals of American parents – you can’t raise a child to be all of these things *and* obey your every word. The two things just don’t go together. I have yet to find information in a book or paper describing parenting practices in non-Western cultures that describes the mental health outcomes in the children who are in constant physical contact but otherwise ignored, who are berated, and who are threatened or beaten. It’s certainly possible that not all of these lead to negative mental health outcomes in children in cultures where these practices occur, but I do wonder. And secondly, I wonder what the relationship between the child and the parent is like when the child gets older. If the primary goal is obedience to the parent then as long as the child is obedient then everything is probably fine from the parent’s perspective. But I wonder how it feels from the child’s perspective. In Western cultures we try to achieve two goals that I haven’t seen mentioned in descriptions of other cultures – we try to ensure the positive mental health of our children, and we try to build a positive relationship between the child and the parent. And while some of the practices used in other cultures can be helpful to us – personally I plan to shift how I cook from keeping sharp knives away from my toddler to using them within her reach, but instructing her to keep her hands away so she can more closely observe how I prepare dinner every night. But in general if we are to meet our goals for developing what we consider to be well-adjusted children who grow into well-adjusted adults who have a good relationship with us then we need two things. Firstly, we need to redefine our expectations regarding getting a child to do what we want him to do, because an inherent part of raising a free-thinker is that they don’t always do what you want them to do. And secondly we need a different toolkit than the people in cultures who create compliant children through keeping them calm or training them to observe or berating them. We need to move beyond thinking about getting our children to do what we want them to do and start thinking about how we create the kind of relationship with them that makes THEM want to be in a positive working relationship with us as we go out on this journey of life. So why don’t we just control our children? Why don’t we just tell them what we want them to do and force them to do it? Diana Baumrind is a psychologist who described three different parenting styles. Authoritarian parents foster individuality, self-regulation, and self-assertion by meeting and responding to their children’s needs, and exert a fairly high level of control over their children to integrate them into the family culture. In white Western cultures, authoritarian parents are generally considered the “good” parents. Parents who exert a lot of control but don’t balance it with meeting and responding to their children’s needs are called “Authoritative.” (Because I always have to look it up to remember which is which I’ll restate these two – Authoritarian parents are the good ones that exert a high degree of control but are also responsive. Authoritative parents exert a high degree of control but are not responsive). This style of parenting is more common in the African-American community in the U.S. and while it has been shown to cause negative effects on white children, that’s not necessarily the case with African-American children. Authoritative parenting is associated with better outcomes for African-American children, but the Authoritarian style isn’t terrible. The Permissive parenting style is linked to a high degree of responsiveness to the child, but a low degree of control. So the child gets what she wants, and doesn’t have to fit into the rest of the family – in fact, the family fits around her. A fourth style was added later by some other researchers, who noticed that low responsiveness and low control are basically elements of neglectful parenting. Another of the studies that Kohn cites makes a distinction that I found really helpful, and that’s the difference between self-assertion and defiance. If a mother tells her child to pick up some toys and put them in a box, if the child say’s “No, still playing” then he is asserting himself. But if he takes more toys out of the basket or if he throws a toy across the room, he is defying her. So if the act is primarily geared toward resisting what the mother wants to do, then we call it “defiance.” But if the child really does want to keep playing not just for the sake of defying the mother, then that’s assertion. Now this is important because researchers associate self-assertion with competence in young children, but the same doesn’t hold true for defiance. Children who say “no” more often are more likely to have a secure attachment to their parents, engage in more negotiation with their mothers, and are more developmentally advanced that other children. Children who are defiant often hare parents who use highly power-assertive control strategies like anger, harshness, criticism, and spanking or hitting, and the mother’s use of these strategies after the child’s initial ‘no’ was more likely than other strategies to result in defiance, probably because she’s using these strategies to signal that she’s not willing to negotiate. If the child complies at this point he does so because his mother has more power than him, and his autonomy suffers. And asking a child “Could you pick up the toys now?” wasn’t effective at getting compliance either because the child feels like he has a choice, and he chooses not to pick up the toys. If you want to hear this in action, go and check out Janet Lansbury’s podcast episode on setting limits with respect – there’s a link to it in the references for this episode. Janet has been a RIE parent educator since 1994, and I find it really helpful to not just read the language she uses but hear her demonstrate it. I do want to be super clear that respecting autonomy and individuality doesn’t mean being a pushover. I think of it as believing that I have rights as a person in the parenting relationship as well, and I place primary importance on the relationship between my daughter and I, and that it’s OK for us each to have boundaries about what is and isn’t OK. Sometimes my daughter doesn’t want to kiss me goodbye in the morning and that’s OK with me – that’s her boundary, her limit in that moment. I cheerfully wave goodbye to her as her Dad takes her to daycare and think nothing more of it. And also I have the right to set boundaries as well – I don’t want there to be water all over the floor in the bathroom after her bath. If she’s splashing a lot then I tell her “I don’t want you to splash water on the floor. You can splash it against the wall if you like.” If she keeps splashing, I say “Carys, the water still keeps going on the floor. You can stop splashing, or splash against the wall if you want to keep doing it. If any more water goes on the floor I’m going to lift you out of the tub.” The vast majority of the time she turns around and splashes against the wall, but if she does keep tossing water on the floor I have no qualms about lifting her out of the tub. Other research asks us to look beyond the immediate compliance that a behaviorist reinforcement can bring about (so, saying “If you put your toys away you can have a cookie,” or punishing a child when he refuses to put his toys away) – because those tactics do work in the short term. But as we talked about in the Punished by Rewards episode, those tactics don’t really help us to build the type of relationship we want to build with our children. Instead, researchers have found that if parents play with a child for just a few minutes, letting the child be in control of the play session (so basically the parents take direction from the child during the session) and then asked the children to put some toys away, the children systematically complied both in the short and longer-terms – and this impact was especially strong with children whose mothers perceived them as normally “difficult.” Once again, this supports a key principle of RIE – the idea of what Magda Gerber, who founded RIE, called “Wants Nothing Quality Time.” “Wants Something Quality Time” is the idea that when you’re trying to get something done like changing a diaper or getting dressed – in other words, you want cooperation from your child – then this is quality time. But when there is no immediately pressing need you can spend Wants Nothing Quality Time with your child – doing whatever your child wants to do, with no agenda on your part. This is such a core principle of RIE and to find that scientific research links this to children cooperating at other times feels very validating to me. Another researcher called this the development of the “willing stance,” which I see as sort of a flywheel of positive outcomes that once you start it just keeps going. So early attachment to the parent promotes a child’s trust in and positive orientation toward the parent. That positive orientation leads to a cycle of mutual cooperation that actually increases over time if you keep engaging in the child-directed play– the parent provides supportive, adaptive care and the child embraces and internalizes the parent’s values. The parent gradually empowers the child to become an autonomous, positive, active partner in socialization. So what’s out ultimate goal in attempting to achieve cooperation? Yes, it’s to make our lives easier and run just a bit more smoothly, but it’s also to transmit our values to our children. It’s to help our children understand that we’re the kind of family who puts our things away when we’re done using them, that we help each other out, and we respect each other’s opinions. Because, ultimately, our goal is for our children to do these things when we’re not looking – when we send them out into the world we want them to take responsibility for themselves, to help other people, and to respect other people as well. As our children get older and move toward middle school we need to start doing what psychologists call “coregulation” – still keeping the guardrails around the child’s behavior but stepping back and letting the child make more of the moment-to-moment decisions. And if we’ve prepared them adequately by helping them to develop the skills they need to make these decisions when they’re toddlers and preschoolers, then they’ll be more successful in the world when they’re middle schoolers and adolescents. And if we haven’t; if we’ve controlled their behavior so they have to look to us every minute then we haven’t set them up for success. Another study corroborated this by finding that where mothers and preschoolers are mutually responsive then the mothers have to use less power to elicit cooperation and the children had internalized maternal values and rules to a greater extent. As children get to the teenage years, the effects of controlling parents become even more profound. Authoritative parenting that promotes a relationship of responsiveness between the parent and child and a sense of give-and-take – has been found to foster teenage children’s healthy sense of autonomy which, in turn, promoted better developmental outcomes. Authoritative parenting has been linked to lower GPAs in white and Asian students, although not in African-American or Hispanic students. On the flip-side, an older study found that adolescents who have authoritarian parents are more obedient and conform to the standards of adults, but have relatively poorer self-conceptions than other teenagers. And a more recent study found that when mothers use psychological control methods like manipulation, guilt, or passive aggression to control children in early adolescence, by mid-adolescence these children were less able to assert their autonomy both with their parents and with a close friend. I could imagine all kinds of chilling consequences ranging from receiving lower grades because the child is unwilling to speak up in class, to all sorts of horrific outcomes of not being able to say ‘no’ to someone who is doing something to you that you don’t want them to do. So, sorry to end on a bit of a negative note – but I hope this exploration of how to get your child to do what you want him to do has been helpful. I honestly didn’t really know where it was going to end up when I started researching, and I’m grateful to find that the path I’ve been following seems to be setting up both me and my daughter for the kind of relationship that I want to have with her as she gets older, as well as the type of relationship she has with the world. I’m trying to find the show notes because I want to follow up on the podcast that was recommended at the end, but I can’t find it here on the website…HELP!